New Zealand wrens have nothing in common with the more familiar wrens, Northern Hemisphere birds of the family Troglodytidae. Visible similarities between the families are superficial. DNA comparison and morphological studies strongly suggest that the Acanthisittidae are living relatives of the earliest passeriform birds, which date back at least 85 million years, when New Zealand severed from West Antarctica during the later stages of the Gondwana supercontinent breakup. Nevertheless, placing them in the oscine (Passeres) or suboscine (Tyranni) passerine suborders, or perhaps in a suborder all their own, is an unsettled issue. and one New-World suboscine, respectively (pitta [Pittidae] and tyrannt flycatcher [Tyrannidae]). Acanthisittidae is divided into two genera that are living or recently extinct (Acanthisitta, Xenicus), and another two that were extinct before historical times (Dendroscansor, Pachy-plichas). 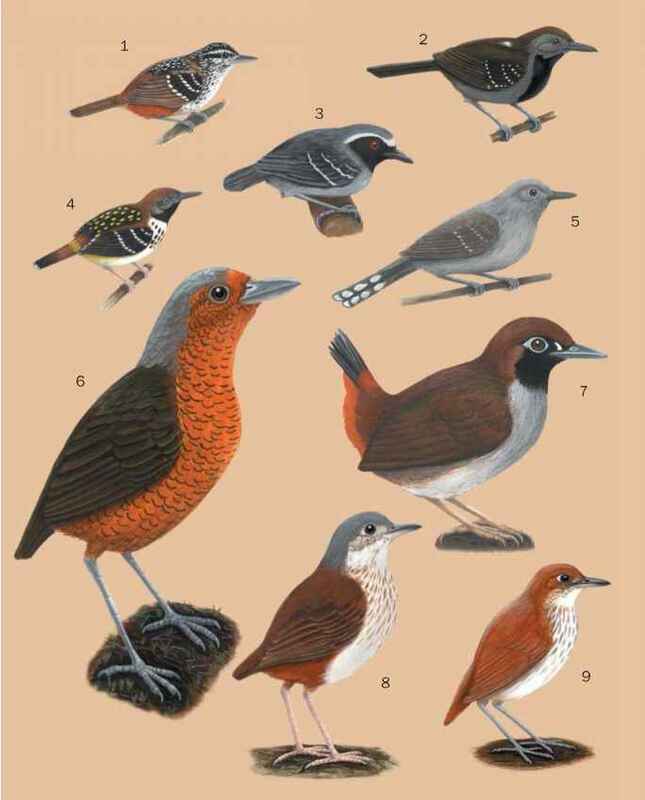 Genus Acanthisitta is monotypic with only one species, the rifleman (Acanthisitta Moris). 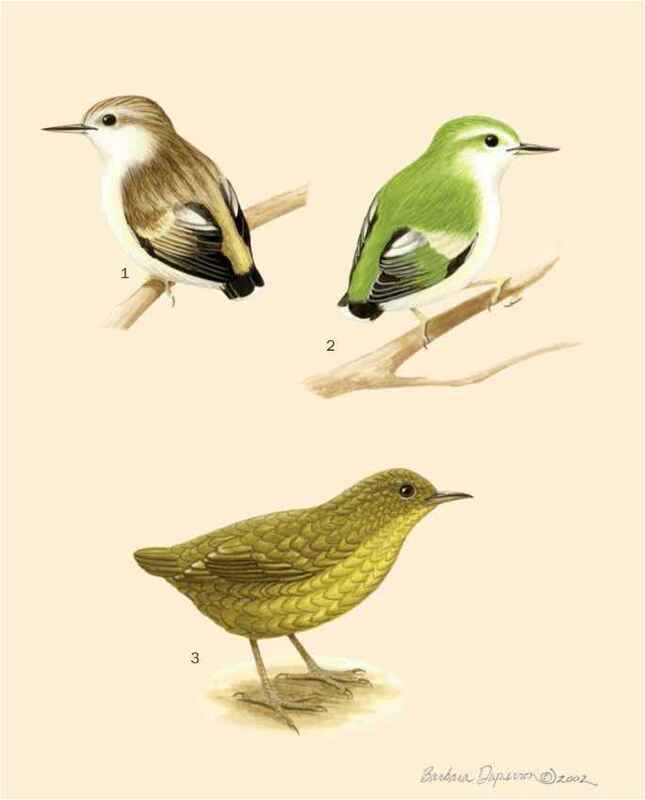 Genus Xenicus includes three species: one living (rock wren [Xenicus gilviventris]) and two recently extinct (bush wren [Xenicus longipes], Stephens Island wren [Xenicus lyalli]). The rock wren survives in the highlands of South Island. The bush wren is probably extinct; none have been seen since 1972. The extinct Stephens Island wren is probably the most generally well known of the New Zealand wrens, due to ironic circumstances of its habitat, discovery, and demise. Three fossil species, known from the Holocene of New Zealand, have been found: Pachyplichas yaldwyni (Millener, 1988), Pachyplichas jagmi (Millener, 1988), and Dendroscansor decurvirostris (Millener and Worthy, 1991). New Zealand wrens are among the smallest of birds, at 3-4 in (8-10 cm), so compactly built and short-tailed that at rest they may look truncated or almost spherical. They have short wings and stout legs with strong, gripping feet. The toes are long and slender, and the third and fourth toes are joined at their bases. The bill is straight or slightly upturned, slender, and pointed. Coloring among the Acanthisittidae runs to greens, browns, and white. As a family, New Zealand wrens are—or were in historical times—common throughout the two main islands of New Zealand and several satellite islands. Today, the rifleman (Acanthisitta chloris) is still fairly common in forest and scrub on both main islands. The rock wren (Xenicus gilviventris) is somewhat less common on South Island, inhabiting rocky areas and alpine scrub at or above timberline in mountainous areas from Nelson to Fiordland. The living Acanthisittidae are well adapted to forest, scrubland, and alpine environments, all of which are likely to harbor abundant larders of insects, the wrens' main food source. Behavior among Acanthisittidae species has often been likened to that of small rodents and insectivores like mice or shrews, and they may fill niches of small feeders on New Zealand that, until historic times, had no such indigenous mammal types. Typically, an individual, a bonded male and female couple, or a family group forages on the ground or crawls over the bark and within the leafy parts of trees to search for, snag, and eat small arthropods. Breeding season is November-March. Males and females form strong, long-lasting monogamous pair bonds. Both construct the elaborate nest—riflemen in tree crevices, rock wrens in rock crevices. Males feed nesting females and both parents feed chicks. Of four species known in historic times, two have been exterminated by introduced domestic cats, stoats, ferrets, weasels, and rats. The Pacific Island rat was brought to New Zealand by colonizing Maori many centuries ago, the black rat and Norway rat were brought later by colonizing Europeans. The bush wren or matuhi, a 4-in (9-cm) forest insectivore, was formerly widespread throughout North, South, and Stewart Islands. 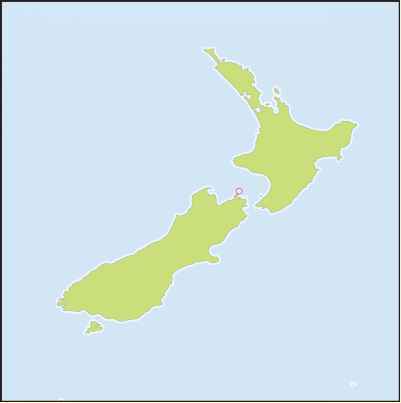 The last population lived on rat-free Big South Cape Island (near Stewart Island, off the southeast coast of South Island) until Norway rats jumped ship onto the island in 1961 and subsequently exterminated the bush wren. None have been seen anywhere since 1972. The Stephens Island wren was endemic to the tiny islet between North and South Islands. The entire population was exterminated by a single cat. The rifleman and rock wren are still fairly common, protected by New Zealand law and a vigorous conservation program. Neither are included in the 2000 IUCN Red List of Threatened Species, but the rock wren is listed as threatened by the New Zealand Department of Conservation.